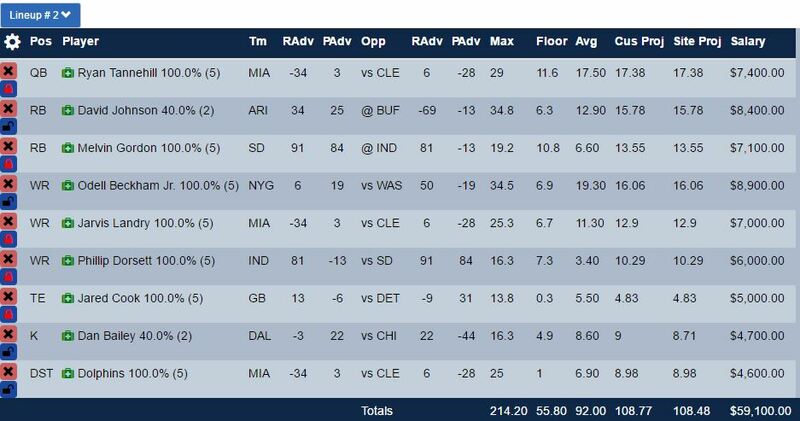 FanDuel GPP results from last week. 10 lineups entered and 1 hit pay dirt. Placed 38th out of 15,000+ entries. We're working on an ownership projection algorithm and hope to have it released soon. Because of this I've been playing a lot more GPP tournaments than usual this season and I've been getting lucky. 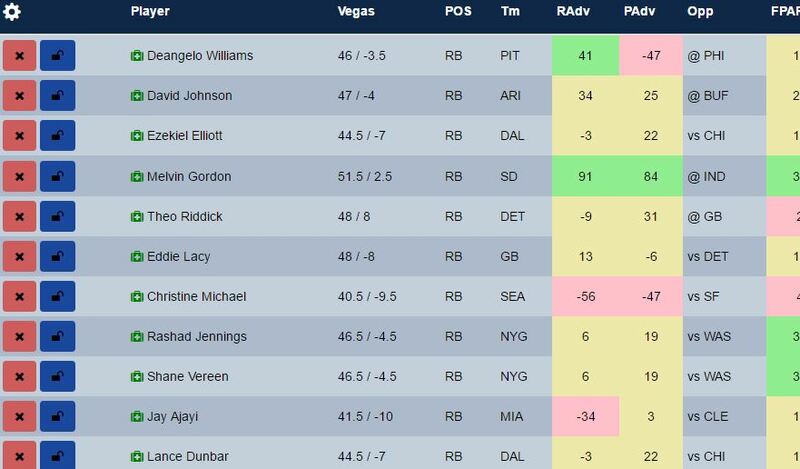 With that said, let's talk about the week 3 FanDuel GPP tournaments and optimal lineup construction. When playing GPP correctly, you're going to have more unproductive lineups than productive. If you want to increase your odds enter 10 or more lineups and have three different stacks evenly spread out within those 10 optimal lineups. I studied this extensively last season, the top winners are playing 20, 30, 50 or more lineups per tournament. 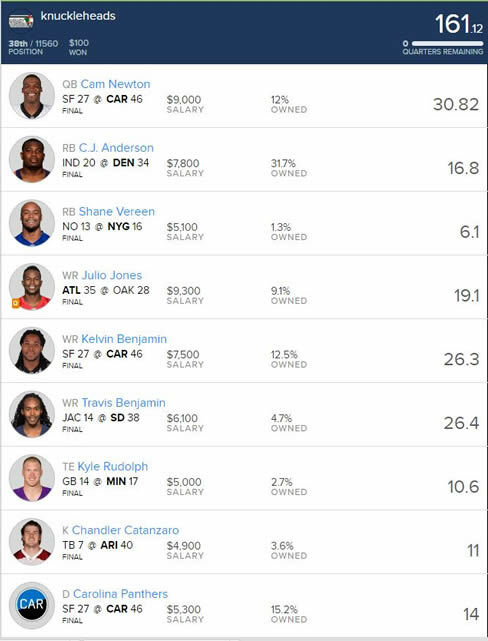 If this worries you then try Yahoo DFS. They allow a max of 10 entries per player and this has really helped level the playing field for guys without a big bankroll. This week 3 lineup has several chalk plays, which is necessary when you think they will be the highest scoring players at their position. Weather is going to be an issue this week. I highly recommend building your lineups Sunday morning so you have the most accurate NFL weather projections. 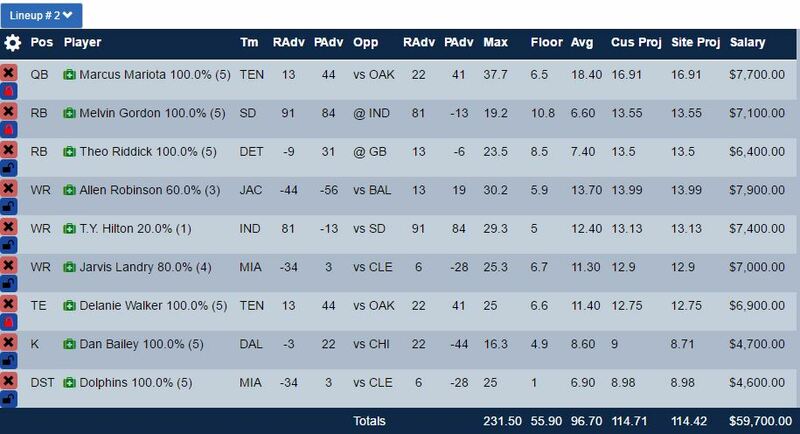 Scroll down to see my top picks by position for FanDuel GPP lineups. 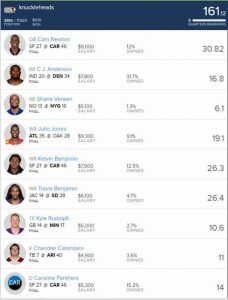 Created with the best optimal lineup tool online. I'm not biased either, am I? Landry wasn't a touchdown machine last season but this is the week he'll net you at least one six point score. No running game in Miami and Cleveland won't be able to move the ball on offense either. The only thing about this game is the projected forecast isn't good, keep an eye on that and set your lineups on Sunday. Jared Cook is either going to get you 3 points or 20. Meaning he'll either be featured or an afterthought. With the NFL being the copycat league it is, I expect Cook to be featured against the Lions.